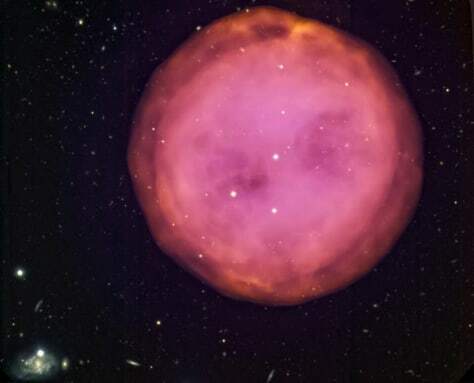 Gemini North image of the planetary nebula M97, also known as the Owl Nebula, imaged by the Gemini Multi-Object Spectrograph (GMOS) as part of a Canadian contest for high school students. The approximately 6,000-year-old nebula is located about 2,600 light-years away, and has a diameter of about three light-years across. It is located in the constellation of Ursa Major (which contains the Big Dipper).